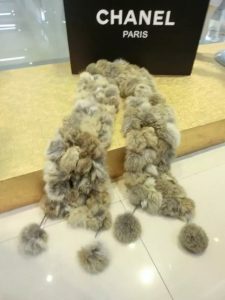 Cashmere scarves with higher price should be careful not to let the scarf rub against the rough surface and avoid being caught by sharp objects. For the washing products of cashmere, it should be soaked in warm water for a few minutes at a certain ratio. The water temperature is preferably about 35 degrees. If it is cleaned by itself, the scarf should be placed in cold water for three or five minutes. It should not be washed. Do not use it after washing. 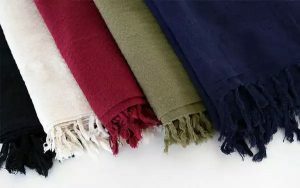 Wring out, not to use the machine to dry, jacquard or multi-color cashmere scarves should not be soaked, cashmere scarves of different colors should not be washed together to avoid dyeing. 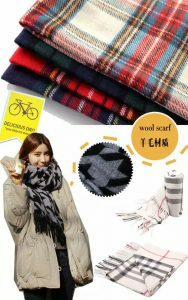 Preventing the wool scarf from pilling can reduce the friction of the surface when washing, and reduce the friction of the surface to prevent the sweater from pilling. If you have a ball, you can use a deburring machine to gently brush the ball on the wool scarf, or you can use a sticky tape to gently stick the ball from the surface, and avoid washing it into the washing machine. For the ironing of the wool scarf, it is necessary to adjust the temperature of the ironing machine to a medium temperature state. Spray the dried scarf evenly with water mist before ironing, and spread the white towel that is immersed and wrung out. When ironing, follow the latitude and longitude sequence, avoid skewing the skewer to deform the scarf, and press the weight according to the degree of deformation and texture after washing. First prepare a white towel and a bowl of warm water, soak the towel in warm water, wring it and wipe it from head to tail in the direction of the hair. See the stain on the towel. Rinse the towel until it is clean. Wipe it every two days to keep the fur clean. This is the basic care. If you have oily stains, you need to send it to the dry cleaners. Don’t wash yourself at home!